On April 18, the Los Angeles Unified School District (LAUSD) Board of Education passed a resolution to end McDonald’s McTeacher’s Nights with far-reaching implications for all junk food sponsorship within the district. This is a huge win for everyone who cares about the health of our children. Los Angeles is the second largest school district in the country, and this decisive action sends a powerful message to McDonald’s that communities across the country will not stand for the corporation’s exploitative marketing practices in our schools. McTeacher’s Nights are part of McDonald’s decades-long effort to market to children in schools. You might have heard that Ronald McDonald shows up in schools under the guise of physical education and reading programming. McDonald’s also sells branded fast food in school cafeterias. 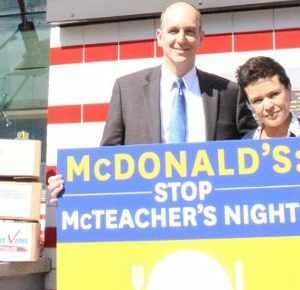 But McTeacher’s Nights are by far the most insidious of these exploitative marketing tactics: McDonald’s has teachers work behind the counter of a local store, serving burgers, fries, and soda to their students and students’ families. While McDonald’s gets the kind of marketing money cannot buy, schools are left with a paltry percentage of the proceeds from the night (sometimes as little as 10 percent) — and impressionable children come away with the idea that their trusted teachers endorse McDonald’s food. Since 2013, more than 700 McTeacher’s Nights have been documented in more than 30 states. More than 120 of these were held in the Los Angeles metro area. But a growing movement of educators, parents, and health professionals is fed up with this practice, which exploits teachers’ relationship with their students to market to children. 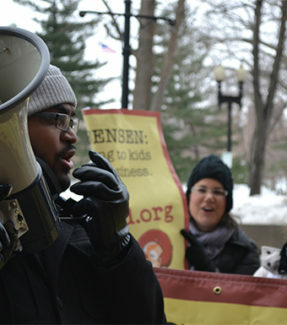 Since October 2015 more than 30,000 people, along with teachers unions representing more than 3 million educators across the country, have challenged McDonald’s predatory tactics. As a result, school districts like LAUSD are taking decisive action to end McDonald’s abuses. LAUSD’s recent resolution is part of the school district’s critical leadership in building a healthy food future for our children. Its “first-in-the-nation” Good Food Purchasing Policy program, implemented by the district in 2012, set strong procurement standards for school food that is healthy, fair, humane, and sustainable. LAUSD’s groundbreaking policies have prompted sweeping change as school districts around the country from Oakland to Austin are following suit. But the school district’s decision wasn’t a sure thing. It took hundreds of messages and phone calls by people across the city to alert LAUSD board members to the importance of the resolution, sponsored by Board President Steve Zimmer. 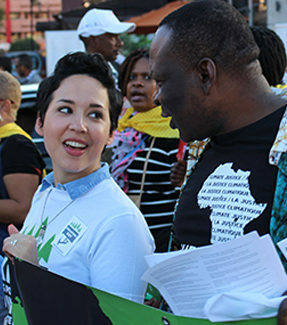 Corporate Accountability International’s on-the-ground organizing in Los Angeles with members and activists like you provided critical support to this historic vote for health. And its implications are far-reaching. LAUSD’s recent action is part of a national movement to stand up to the junk food industry. 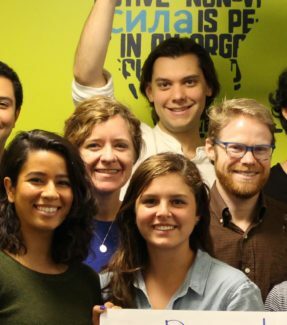 This movement also echoes the one that took down Big Tobacco’s abusive marketing practices in trusted community institutions. We’re creating a sea change of public attitudes about the place of junk food and junk food marketing. From hospitals to school districts, institutions are putting health concerns first and cutting ties with McDonald’s. Together, we will create a sustainable and just food system. Thank you for making wins like this possible!